Kids lose their belongings all the time? 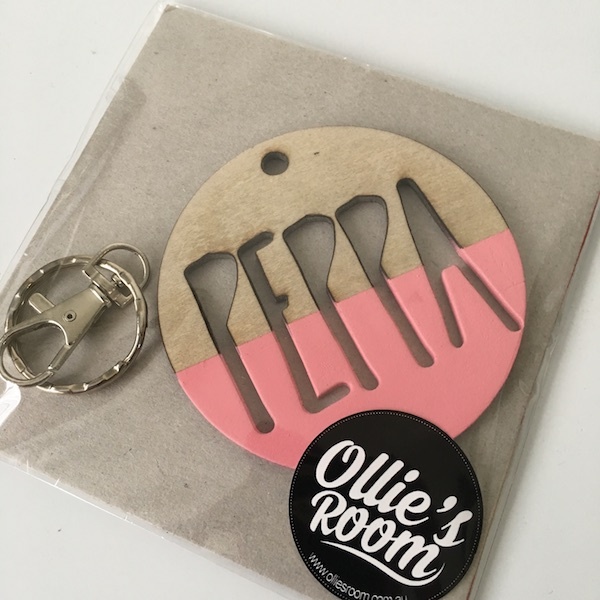 At Ollie's Room we have created on trend custom personalised wooden bag tags, key tags and luggage tags which are perfect to add an identity and name to items. This listing is for 1 x PEPPA bag tag in PINK. Made From: Made from gorgeous ply wood, these tags are durable and cant be ripped or torn. PLEASE NOTE: Due to the nature of wood, each will come with different markings and possible colourings. Colour: Your tag can come either raw or half painted in the colour of your choice.